Call or e-mail us with any questions or to order. All our pens are imprinted with your logo or message. We will be happy to provide a virtual proof for approval prior to printing the order. 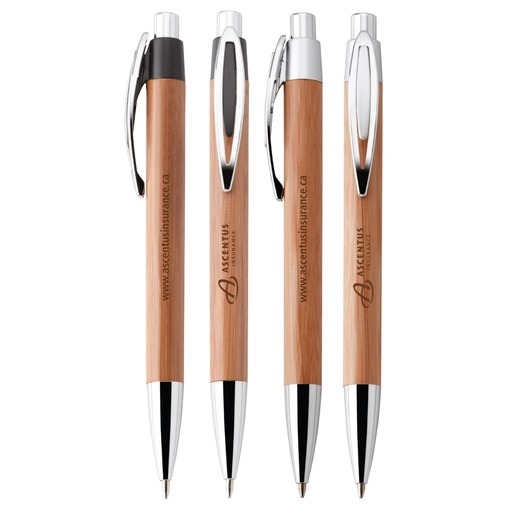 • The bamboo gives the pen a smooth, natural feel. Due to the nature of bamboo slight irregularities will occur. Expanded imprint area: 2" x .75"